Florida Injection Service runs monthly and quarterly specials. We partner with manufacturers, suppliers and others to bring you items of exceptional value for a short time. 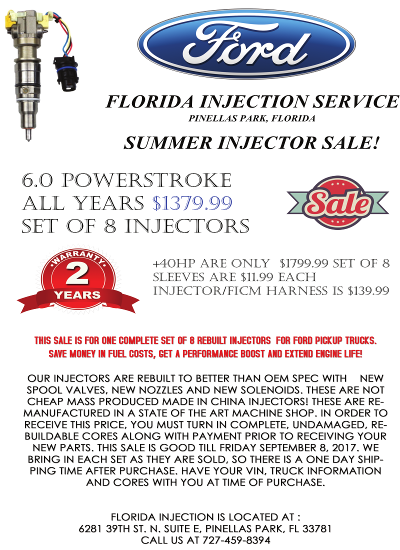 Summer special at Florida Injection service~ 8 Ford 6.0 injectors for$1379.99 more than rebuilt. These are remanufactured in a state of the art machine shop then tested. These injectors test better than OEM spec or they get rejected.